Trained as an art historian, but fell for Istanbul's culinary culinary world, both past and present. Founder of istanbites.com. Whether you are looking to escape from the city or escape to a romantic getaway, once dubbed the “Honeymoon Hotel,” Casa Lavanda Boutique Hotel located in Ulupelit-Şile offers complete seclusion from our urban and – all too often – chaotic lives. Just an-hour ride from Istanbul’s center, this boutique hotel offers the perfect chalet experience, without the chalet hardships. If you are looking to spend some quality time alone with your significant other, you are in luck. This family-run hotel may only have 13 rooms, but the territory spreads over 18,000 m2. In fact, the only visitors you might bump into are those in Chef Emre Şen’s critically acclaimed dining room – equipped with a fireplace to keep you warm. If you are feeling adventurous order their tasting menu for two for a refined Mediterranean tastes or strait à la carte. When in season, opt for the chestnut mushroom soup (foraged from the surrounding forests) or the lamb (for the carnivores) cooked for some ten hours. 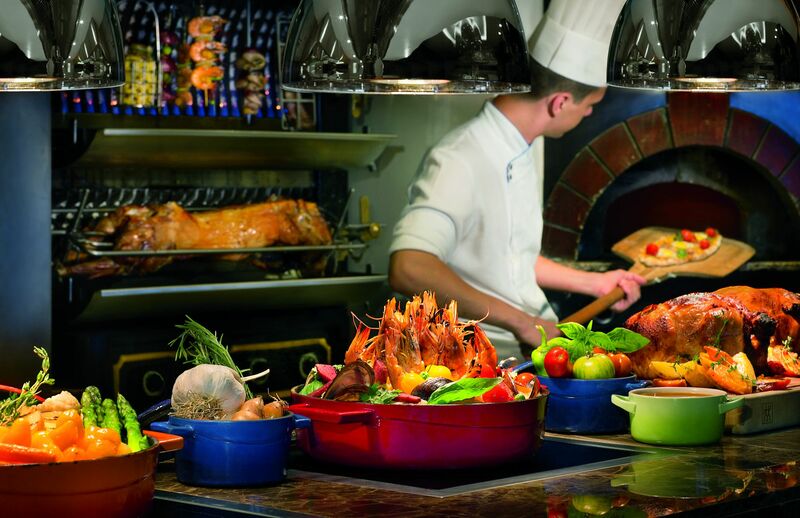 Actually, many lucky Istanbulite visit the chalet for the food alone – little do they know how much else they are missing! Start your weekend of romance right. Enjoy a couples’ treatment at the hotel’s Darphin Spa, soaking in oils, massages, and great views of the Ulupelit’s Black Sea forest. Later, dine on some of the best (and locally sourced) food in the region. Like the décor, the food is homey, soulful and rustic. Finish your evening walking, huddled with your significant other gazing up at some of the clearest night skies in the world. Just outside Istanbul, lies one of the world’s ancient geographies: Thrace. 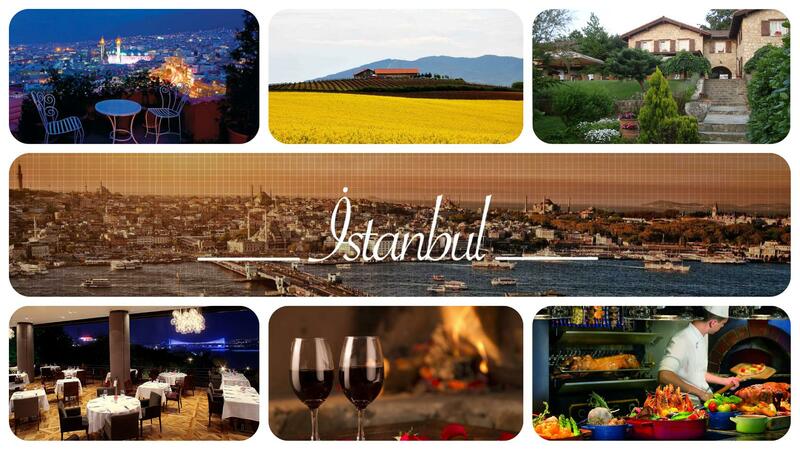 And, it just so happens that it is also Turkey’s very own wine country. 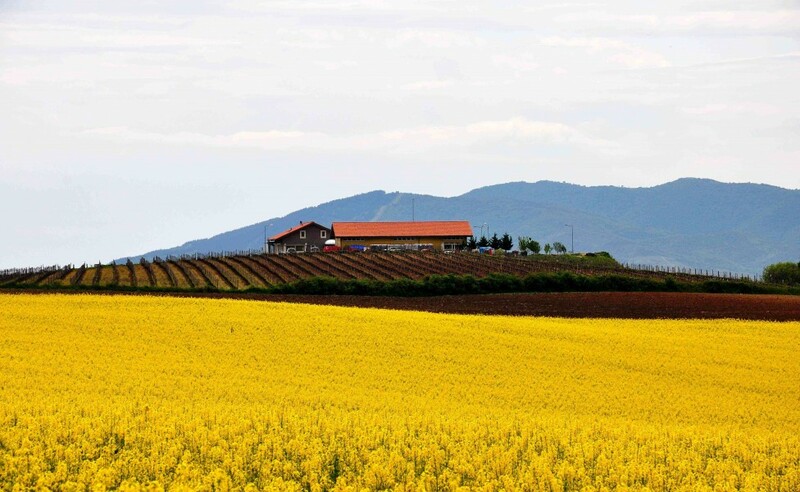 Dotted with the country’s top vineyards, Thrace is gaining more recognition everyday. 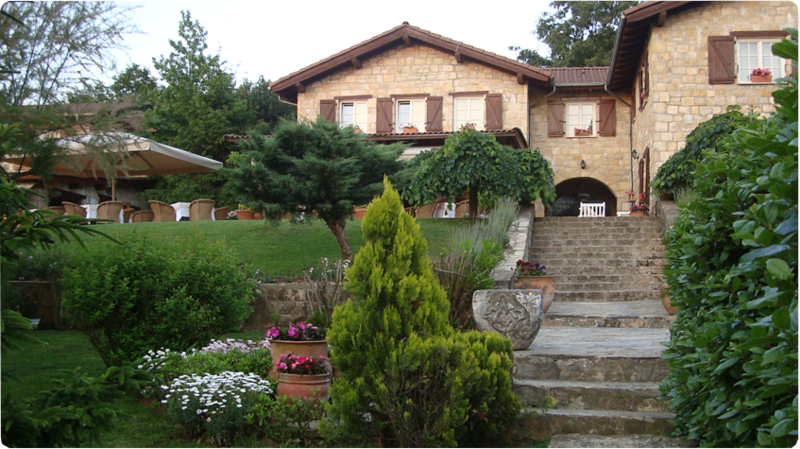 One of the more exclusive (and secluded) wine house’s is Barbaros Bağ Evi in Şarköy. Not only does Barbaros produce some of the country’s better wines with the name of Barbare, it is also one of the country’s sweetest boutique hotels. And, equipped with 18 rooms, you are guaranteed a quiet and intimate weekend. This Valentine’s weekend take a scenic drive along the gorgeous coast of the Marmara Sea. When you arrive, take advantage of the view and stroll through the many rows of grapes and breath in the sweet smell a Cabarnet Sauvignon vine. End your evening with a well-deserved dining experience by the fire with the one you love. As one of the first Ottoman capitals, Bursa is filled with history. And, quite literally, Kitapevi Otel sits at the top of it. While located in the urban center of the city, the hotel is nestled among the walls of the fortress in Bursa’s older district, Osmangazi. Once a home to an upstanding Ottoman family, the building was turned into a cultural bookshop, as its name suggests – kitabevi literally meaning book house. Since 2009, it has been one of Bursa’s finest boutique hotels. Because of the buildings long history, each of the 13 rooms are different from the ones next to it. One may have a fireplace, while the other is equipped with the luxury of an Ottoman hamam. 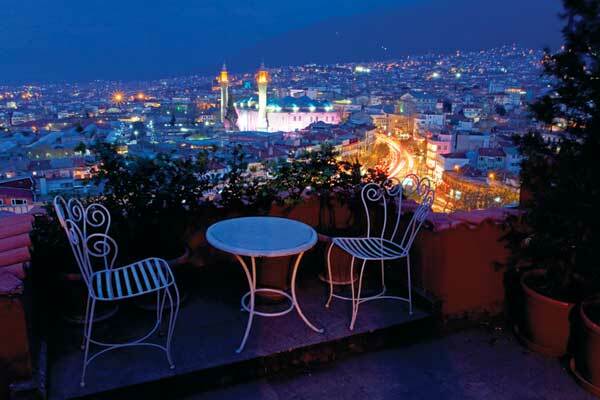 What’s more, because of the hotel’s location, each room boasts a beautiful view of the historic city below. While it may not be as grand as some of Istanbul’s finest hotels, Kitabevi Otel’s luxury is in its intimate candle-lit dinner in their winter garden, its stunning view of Bursa, and the comfort of a drink by the fireplace. For those who prefer a more outgoing romance or perhaps looking to impress a more critical loved one, an evening at Topaz is sure to do the trick. 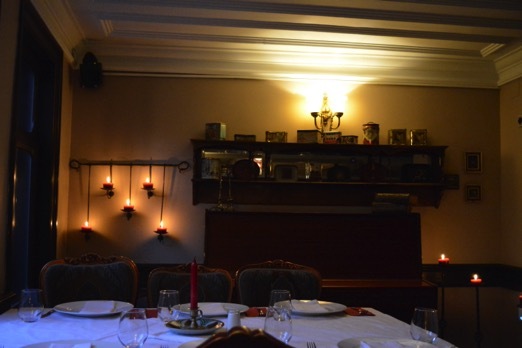 In fact, the restaurant has become the sophisticated favourite for visitors as well as locals. Located at the heart of Istanbul, but high away from the cacophony of Istanbul streets, Topaz is a safe haven with a view that will be sure to take their breath away. Share a table with stunning views of the Bosphorus and Dolmabahçe Palace below. With floor to ceiling windows, the view alone makes the restaurant an ideal spot for a candlelit dinner for two. And, yet, the minimalist décor and luxuriously diverse menus – and wine lists – have won the hearts of critics all over Turkey. For those who enjoy Istanbul’s urban landscape, Topaz offers the best of both worlds. Dine on the city’s most innovative, yet comforting food while traveling tankers drift up the Bosphorus under our twinkling city lights. Whether you have prior engagements this Valentines weekend or you were thinking of treating your better half to your famous home cooking, you can always fit in a valentines breakfast. Yes, breakfasts can be romantic, too – especially when done right. And the Ritz-Carlton does everything right. Atelier Real Food offers clients a full lunch and dinner service, but most go for the “Mom” style breakfast. Complete with a full French Rotisserie, the culinary team elevate simple concepts of breakfast to the ranks of fine dining. While the traditional Turkish breakfast is one of the best in the neighborhood, the kitchen also serves an exquisite continental brunch. The latter, of course, should be consumed with at least a couple of mimosas. But if you really want to show your love through the art of brunch, book yourself the Chef’s Table for an exclusive dining experience, a showcase of a prized wine cellar, and the best views of the kitchen and Istanbul. When everyone leaves town for the weekend or while others are still in bed recovering from the night before, you and your significant other can head up to the top floors of the Ritz and brunch in absolute style. Trained as an art historian, but fell for Istanbul’s culinary culinary world, both past and present. Founder of istanbites.com.